Imagine your wedding in a church filled with beautiful works of art and in a historical setting that begin in 1821. 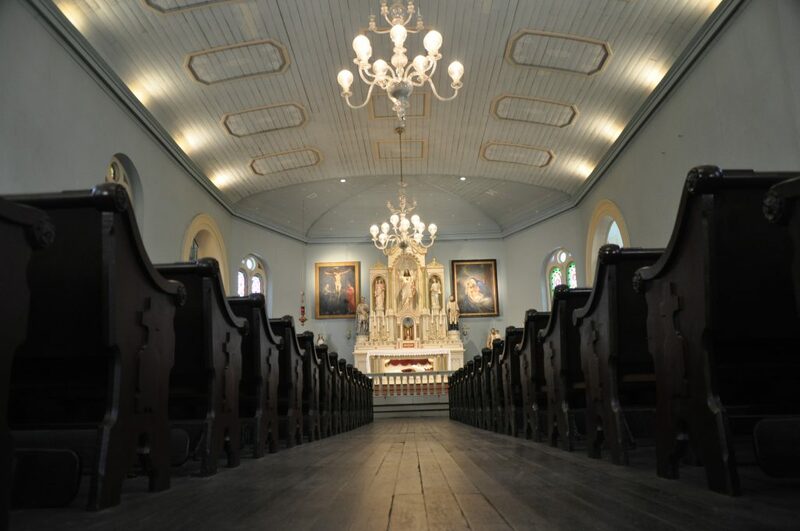 Imagine your wedding in a church that has seen almost 200 years of Catholic service. Newlyweds Julie and David Landwehr recently sent us these two photos… of their wedding and of Julie’s mother’s wedding in 1951, both held in our beautiful wedding chapel!